When we say thank you, we hope you can hear the chorus of voices behind us. They are the dozens of people we’ve been able to help because of Chive Charities generous support. We are excited to share with you what we’ve accomplished since receiving the $25,000 Chive Charities grant in February. Return to Work, as the name suggests, prepares veterans to re-enter the civilian workforce by providing personalized counseling, vocational evaluation, and referrals. They featured AFW in their newsletter and blog. White Heart helps veterans through financial assistance and a variety of support services. True North help teens and young adults with cancer find direction through connection after the very disconnecting experience cancer can bring. Lazarex offers families assistance with costs for FDA clinical trial participation, identification of clinical trial options, community outreach and engagement. DKMS recruits bone marrow donor, provides funds for donor registration costs, and offers patient support services. For the Win gives kids with life-threatening and rare conditions the chance to become their favorite hero. They bring children from all over the country to Hollywood, where make-up artists and costume professionals transform them into the hero of their choice. And they each get an official movie poster and film trailer — of themselves! Between January 1 and June 30, our volunteer pilots and airline partners completed 2,209 AFW missions. While our passenger database is an exceptional resource, we are sensitive to our patients confidentiality, so while we can't determine the precise number of flights we've completed for individuals with rare diseases, our Mission Operations team (who arrange the flights) estimates over 200 missions have carried patients with rare diseases. During this six-month period, our pilots flew 58 missions that had been requested by agencies serving veterans, and we estimate that at least another 10-15 had veterans aboard, but not every patient notifies us of his or her military status. It's amazing how a single flight can change a family in crisis. Through your compassion and generosity, Angel Flight West is able to help patients like Jose G. of Reno. The 36-year-old Jose suffers rom Pectus Carnitum, a malformation of the chest, and Marfan Syndrome, a genetic disorder that affects the body's connective tissue. Due to complications related to these two diseases, Jose experienced a stroke that left him mostly paralyzed. His wife Arlene has become his full-time caregiver and is not able to work outside of the home. When Jose needed to see a neurologist at Stanford Medical Center in Palo Alto, the family wasn't sure they could seize the opportunity. Not only were they unable to afford a commercial flight, it would have taken a serious physical toll on Jose in his complicated medical condition. Fortunately, his caseworker in Reno knew about AFW, and made a call that changed Jose's life. 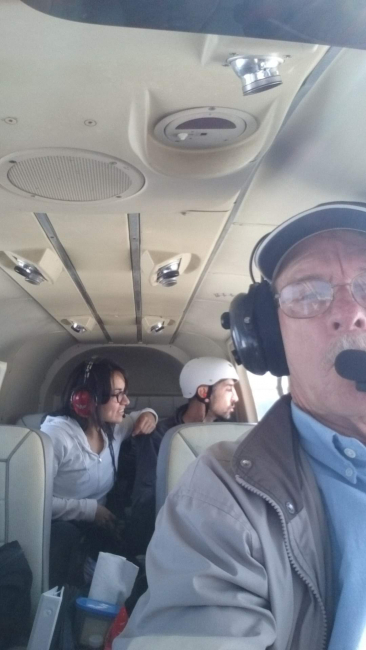 Our pilots flew Jose and his wife round trip to access a top-ranked specialist. And our pilots will be standing by when he needs them again - all at no cost to the family. As a private in the U.S. Army, 23-year-old Nicholas P. was deployed to Afghanistan in 2004. An IED explosion shattered his shoulder, and years of therapy and multiple surgeries didn't bring relief. Then he found a specialist at Oregon Health Sciences University in Portland. 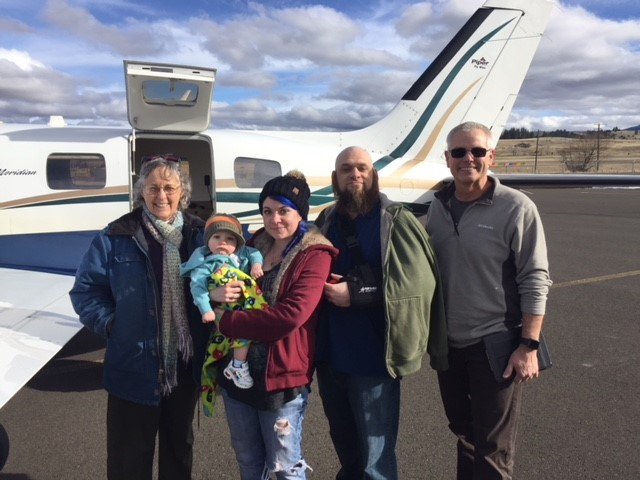 But, unable to work, Nicholas didn’t have the resources to get there from his home In Enterprise, a small town in Eastern Oregon, a seven- hour drive to the hospital. But for our volunteer pilots, it's a breezy 80-minute flight. Nicholas had his surgery and is, as he puts in, "in full recover mode.” Our new partnership with White Heart is already bringing results. 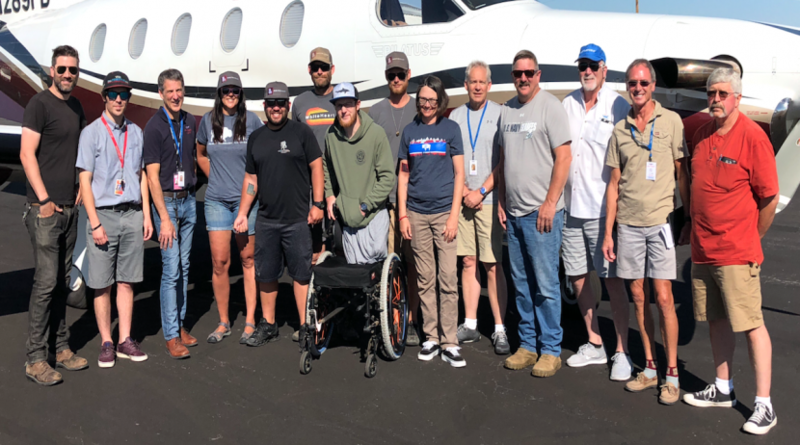 We flew eight veterans from to a White Heart camp in Wyoming. 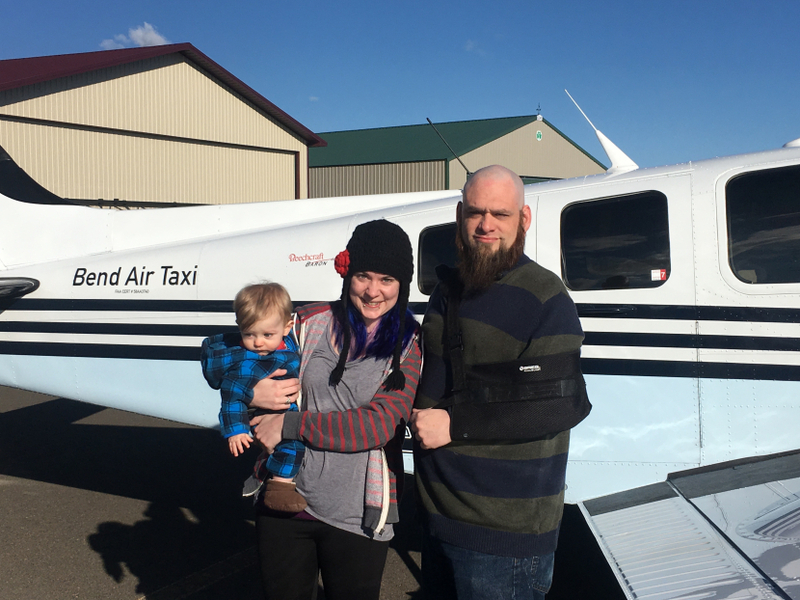 The campers had flown to Salt Lake City from all across the country and our pilots flew them to the retreat in the Wild River Mountains for a week of therapy and recreation. A week later, we flew them back. Chive Charities' generosity is making such an incredible difference in so many lives. While I was personally introduced to The Chive years ago through funny blogs and cat videos, a background and Northern Indiana roots shared with the Resig brothers, and Bill Murray, I continue to come back because of the difference you're making in the communities you serve. We are so proud to partner with you on those ends and will continue to support your efforts whenever and wherever we can. Thank you again so much and CHIVE ON! !